Joint pain and NSAIDs. Any risks involved? Dealing with joint pain is a common theme in my practice. Joint pain is either acute(sudden onset) or chronic (chronic inflammatory process). 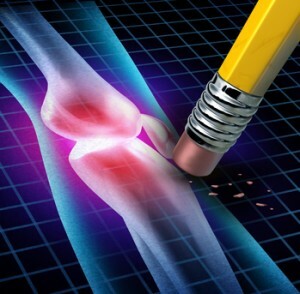 In this article we will focus on chronic joint pain and the latest research on painkillers. How do I know my joint pain is due to a chronic inflammation? Well, you should be able to notice some/all the 4 telling signs of an inflammation. These are swelling, pain, redness, heat. Here comes the interesting bit.. Patients who seek help from me describe their journey somewhat like this.. The patient will notice the discomfort and/or pain that is involved. Due to a limitation to activities of daily living or sports the patient will limit the exposure to them and take some rest. As a result of less exposure to activities the fitness levels of the individual are on the decline. Usually a GP visit follows to discuss their concern. More often than not people will be advised on Rest Ice Compression Elevation and “take it easy” along with some painkillers (NSAIDs). At the end of the day you can’t expect an interaction of 5 minutes typically to drastically change a person’s views/habits. No matter how highly qualified the health care provider is. A study came out to prove that use of NSAIDs comes with up to 51% higher risk of cardiac arrest. Full study Here. In short the above study ran for 10 years 2001-2010 and involved 28947 people in Denmark treated for out of hospital cardiac arrest (OHCA). In that group 3367 people took NSAIDs 30 days or longer leading to the cardiac arrest. The study had some publicity in UK mainstream media outlets. Certainly there are limitations to the above study. One is that the use of painkillers was not directly related to joint pain. But, the group that took the painkillers had more pre-existing conditions. For example Rheumatoid conditions were 70% higher. Also, it is important to note that the group that took painkillers had notably higher exposure to antidepressants, anxiolytics and morphine. Considering the above it should make people who take painkillers daily, think twice… If the concern you deal with is of a musculoskeletal nature then you should consider our take on it! When a patient comes in with joint pain, we will go through an initial assessment to discuss the case. Following a detailed history taking, we will determine the likely causes of the pain. Sometimes it can be Rheumatoid Arthritis causing the joint pain, other times chronic injury that was once acute and over the course of time, settled in.. It can be a faulty movement pattern, an injured muscle acting poorly on a joint. We need to explain that there a lot of reasons that a person experiences joint pain. That is why we promote seeing a qualified clinician rather than take random advice from friends or people over the phone!! Our combination of Functional Range Release® and Functional Range Conditioning® promotes healthy and mobile joints. This systematic approach will offer to maximize your mobility and control over joints. In turn this leads to less inflammation as things work nicely within the body. Are you ready to take action to improve your joint health? We offer physiotherapy to address existing issues with the goal of enrolling in our mobility class to maintain your gains in the long term. This article aims to educate people on the side effects of excessive use of painkillers. Painkillers play an important role and encourage individuals to consult with a health professional regarding their intended use. We encourage people to address their musculokeletal concerns with physiotherapy first.